Educational progressivism matters. This is not because the majority of schools subscribe to a progressivist philosophy. Far from it. It matters because it is the dominant ideology within academia and the bureaucracies that run our education systems. 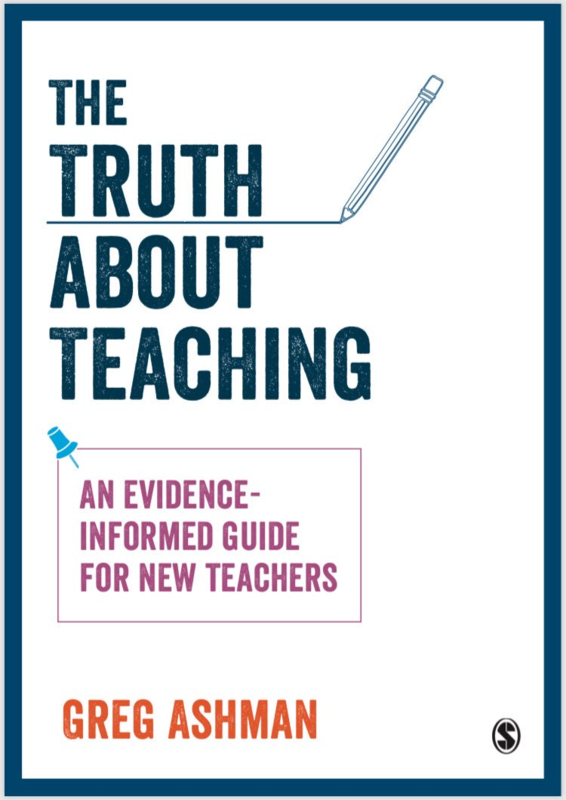 And this has real, practical significance to teachers and schools. As an educational philosophy, elements of progressivism have been around for a long time and progressivism has existed in its current form since the advent of romanticism, from which it draws. Progressivism came to prominence at the end of the 19th and start of the 20th centuries. In 1918, William Heard Kilpatrick penned ‘The Project Method’, an early description of project-based learning. Kilpatrick was a leader of the American Progressive Education Association (PEA). Yet it would be a mistake to see progressivism purely as a label to apply to particular teaching methods. Teaching methods have always been derived from an underlying set of principles. Two brief, sympathetic texts can give us a better understanding of these deeper principles and the way that they have persisted over time. The first is an extract from John Dewey’s 1938 ‘Experience and Education’. By this time, Dewey had begun to criticise some of the extremes of progressive education and had a complex relationship with the PEA. However, I still think that it is clear where his sympathies lie. The second text is a more recent article by Alfie Kohn. One essential principle is that education is a form of natural development. A strong metaphor might be a growing flower – provide the right conditions such as water, compost and light and the flower will grow according to some internal plan. Education is a process of encouraging and drawing-out of children what is already there, innate. This is an individual process where children develop in different ways. As Dewey explains, “To imposition from above is opposed expression and cultivation of individuality.” This metaphor also helps explains the emphasis on intrinsic motivation. If students are endowed to develop in a particular way then we should not force this process. At some fundamental level, they know what is good for them. Herbert Spencer, a 19th century philosopher and progressive, drew on recapitulation theory to try to explain development. This is the idea that the progression from a child to an adult should go through stages that mirror the development of humans from ‘savages’ to civilised beings. Forcing young children to complete the kinds of academic tasks that are characteristic of members of modern civilisations is therefore unnatural. Recapitulation theory has no scientific basis but the idea of education as natural development has stayed with us, most notably through Piaget’s stage theories. These principles lead to progressivism’s troubled relationship with knowledge. The most effective and efficient way of gaining knowledge of the world is through others, either by direct instruction or by use of a proxy such as a book. Yet this is an imposition from the outside – from ‘above’ – and so it does not fit with the idea of education as personal development from within. There are three main ways that progressivism tries to deal with this problem. Firstly, progressives may suggest that students should acquire knowledge of the world themselves. In recent years, it has become popular to talk of students ‘constructing’ their own understandings, drawing on the psychological theory of constructivism. Unfortunately, self-directed learning of this kind is not supported by experimental evidence. Alternatively, progressives may encourage student collaboration as a means of improving the chances of students making the correct conceptual leaps. This makes use of the direct transmission of knowledge from one individual to another but by trying to avoid imposition ‘from above’, it favours knowledge transmission from novice to novice over knowledge transmission from expert to novice. An alternative approach is to make knowledge acquisition a secondary aim of education and to prioritise the development of personal qualities over knowledge acquisition. As Kohn Suggests, “Facts and skills do matter, but only in a context and for a purpose.” Instead, the aim is to develop students’ problem-solving ability, their critical thinking ‘skills’ or their creativity. Again, the emphasis is on personal growth from within. There is little evidence that generic capacities to solve problems or think critically or be creative or whatever else can be improved in this way (see here or here). Instead, these qualities seem to be features of expert performance within a specific domain of knowledge: The same person can think critically about an area where she possesses expertise and yet fail to think critically in an area where she lacks expertise. For most of the last century, it could be argued that progressive ideas aligned with the new science of psychology. This meant that there were both philosophical and empirical reasons to be progressive. The last hurrah for scientific progressivism was probably 1980s constructivism and, as a teaching approach, this has now been largely debunked by carefully conducted studies and epidemiological research. This leaves progressives in a bind. They can change their minds – and many have done so; they can argue that the scientific method does not apply to something as complex as education; or they can define new objectives and argue that progressive methods are best suited to achieve these. This is what has happened with the 21st century skills movement and the idea that progressive methods are superior for preparing students for jobs that don’t yet exist. This does not mean that the debate has no practical significance. I don’t think that there is any country on Earth where every enterprise is state owned – even North Korea has farmer markets – but this does not mean that the principle of state ownership is not worth debating: How should we deal with China’s state-owned companies? Should we sell state assets to build infrastructure? What is the best way to organise public transport or electricity generation and supply? Systematic Synthetics Phonics (SSP) programs for teaching early reading have two key features: They are highly effective compared to the alternatives and they are completely at odds with progressive principles. It is twelve years since a government report in Australia recommended the wholesale adoption of SSP and yet we still have education departments pursuing alternatives such as L3 that offer a more progressive-friendly outlook: students are taught in small groups of two or three to cater to their individual needs and are offered a range of strategies for decoding text rather than being explicitly taught letter-sound relationships. Any discussion of behaviour or research into behaviour problems is couched in terms of progressive principles. If students do not behave in class then this is because schools and teachers are not meeting their developmental needs or treating them as individuals. Given that education is a natural process, if it seems to be going wrong for some students then this must be due to the imposition of unnatural conditions or requirements. We should follow the students’ interests and offer them more appealing choices. The Australian Curriculum requires teachers to teach generic skills such as ‘critical and creative thinking,’ and ‘ethical understanding’, whatever they are. It has also been so denuded of content knowledge that, for example, history doesn’t exist as a subject prior to Year 7, replaced instead with a Dewey-inspired ‘expanding horizons’ curriculum. In turn, the science curriculum is knowledge-lite with a focus on students posing and answering their own questions. In his recent book, E D Hirsch Jr. presents evidence that the imposition of such a knowledge-lite curriculum in France in the 1980s led to real and significant declines in the abilities of students. As with any discussion of behaviour, standardised testing tends to prompt people to reach for progressive arguments. For instance, a delegate at a teaching union conference in the U.K. suggested that teaching, “should be about ‘liberating’ children’s minds, not preparing them to answer tests on things they did not understand.” There are good arguments against such tests but I am broadly in favour. I tend to agree with Eric Kalenze that they represent a failure of our education systems: What other levers do politicians have to pull when schools will not adopt effective practices such as SSP? The priority placed on individualism has led to inefficient approaches that increase teacher workload for no obvious gain. Teachers are expected to ‘differentiate’ lessons in myriad ways, some of which could actually harm learning. Feedback, rather than being delivered through whole class teaching, has been envisioned as something that is done, as Dylan Wiliam describes it, “…one student at a time, after they have gone away, and in writing…” Probably the worst manifestation of this has been the learning styles theories that simply refuse to die, despite evidence to the contrary and the potential dangers associated with labelling students. I could go on. The point is that the philosophy of progressivism matters because it has direct, practical consequences, even if people are unaware of its origins or feel that they are above the debate. Decisions made on the basis of these principles are being made on a daily basis and will continue to be made until they are sufficiently challenged and the decision makers are held to public account. These ideas are part of the collective memory of our education systems and, for many, form part of their implicit understanding of what education is. Progressivism won’t go away of its own accord.